You are browsing the Blog for merlin essex county mass. With sunset closing in just after 5:30pm, under clear skies, golden late day light, wind: W 10MPH, and temperature in low fifties, had a very nice surprise! 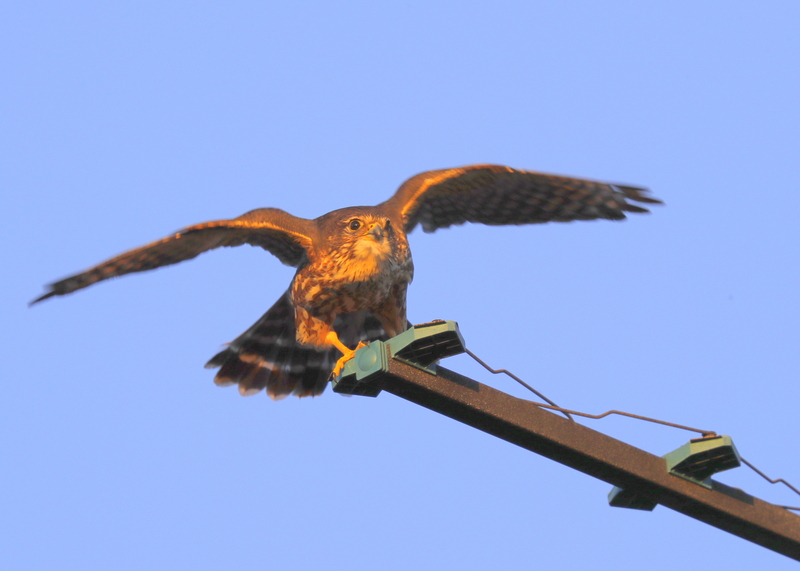 While departing the hospital, an unmistakable falcon-like flight pattern caught my attention; spotted a small falcon in the distance, lost sight of falcon, stopped and scanned all rooftops and other possible perch locations; zoomed in on one distant perched bird….a Dove…..then one last scan….found the falcon perched overlooking the hospital helipad…..a Merlin! 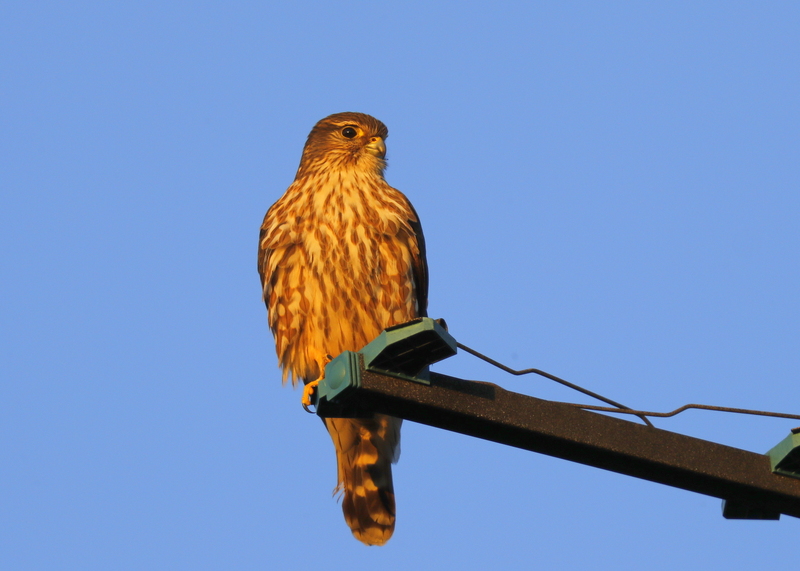 The Merlin is a small, dashing falcon that breeds throughout North America. Only slightly larger than the more common American Kestrel (Falco sparverius), it is heavier and in flight often appears considerably larger. The sexes differ in adult plumage, with females noticeably larger than males. This falcon was previously called the “Pigeon Hawk” because in flight it can be mistaken for a member of the pigeon family; its species name (columbarius) also refers to pigeons. Primarily monogamous, the Merlin raises one brood each breeding season, laying its eggs in the abandoned nests of crows or hawks. It feeds predominantly on small birds, which it generally catches in short, quick flights.